The greatest sequel of all time? Quite possibly. High-quality T-shirt featuring artwork from Star Wars: The Empire Strikes Back. 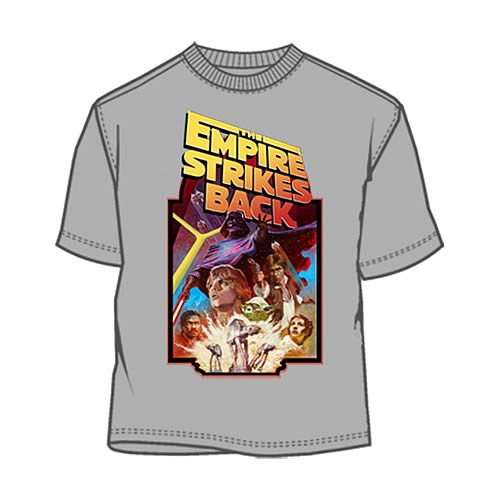 Star Wars The Empire Strikes Back T-Shirt. Celebrate the incredible second installment of the original Star Wars trilogy with this 100% cotton, high-quality silver T-shirt. Machine washable. Order yours today!